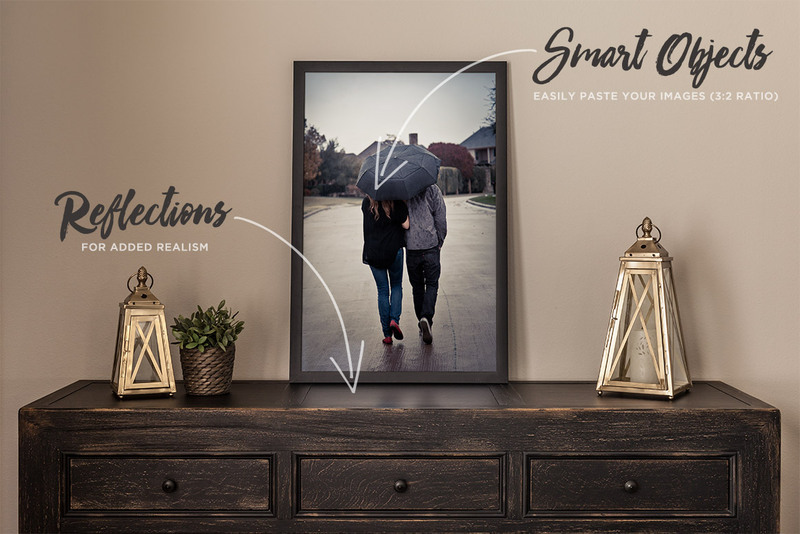 This photo-based Photoshop mockup features Smart Objects so you can easily copy and paste in your photos and designs in seconds. With a huge 5,393 x 3,595 pixel document to work with, you can crop in close for extra detail. 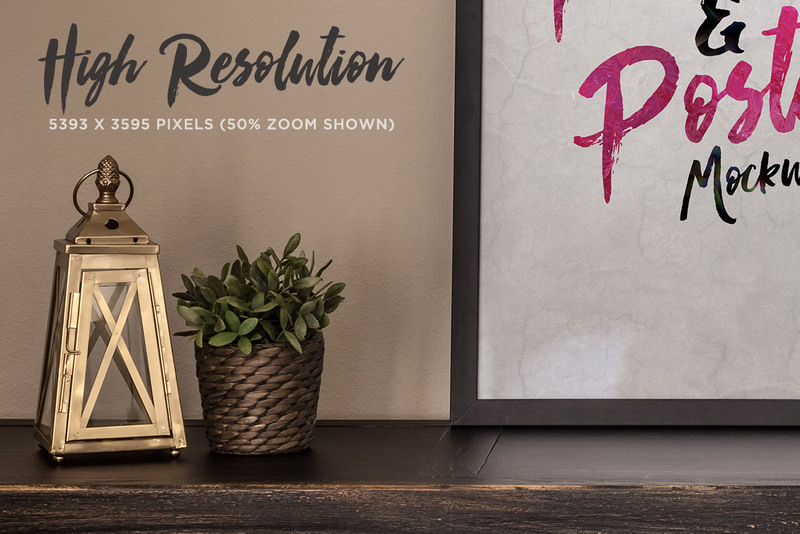 Blurred reflections that automatically update with your artwork were tediously crafted for added realism. 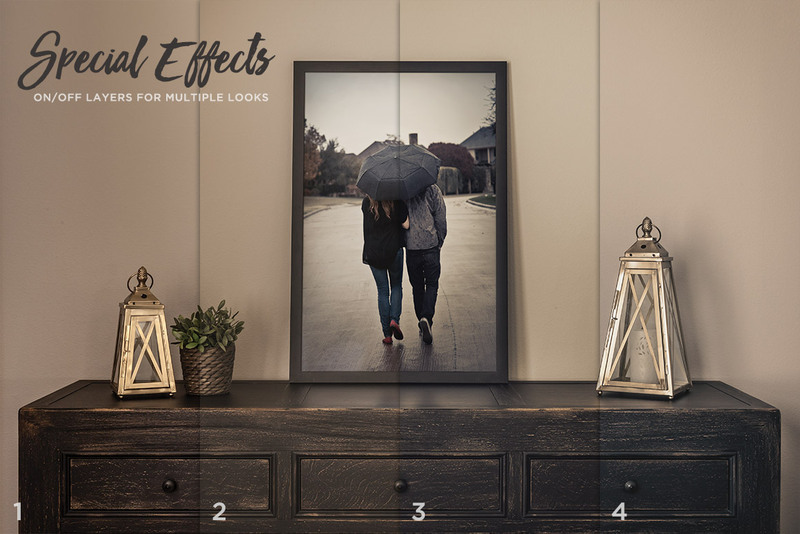 Also included are multiple one-click effects layers, allowing you to layer vignetting, vintage curves, and multiple color tones for an custom, authentic look. 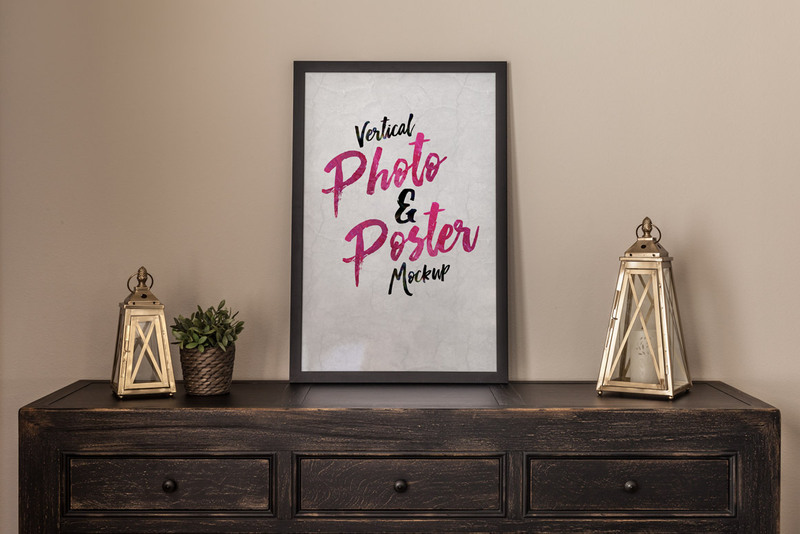 This mockup holds a 3:2 ratio image, so is perfect for a variety of different projects.